As one of Colorado’s top criminal defense law firms since 1990, The Mitchell Law Firm works under the simple philosophy to treat each client as they would want to be treated. For nearly 30 years, Mr Mitchell has personally guided thousands and thousands of individuals through the criminal legal system during their most difficult and darkest days. We truly strive to treat each client as an individual, with personal care and guidance just as each member of The Mitchell Law Firm would want to be treated. We are proud of our reputation and standing in the community, to provide each client with a personal touch through one of the most difficult times of their lives. The Mitchell Law Firm is the place where thousands of people turn to each year when they are faced with serious criminal charges. Greg Mitchell will personally review your case to provide expert legal analysis and sound legal direction to guide you through the criminal law process. 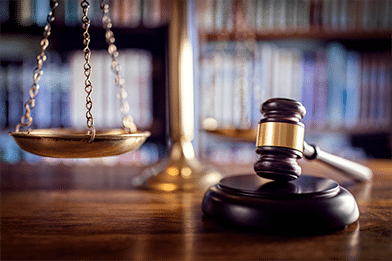 Mr. Mitchell will provide specific advice and direction to your individual case so that you will have a clear understanding and direction as your case proceeds forward through the criminal court system. Mr. Mitchell will personally explain and provide a strategy so that each client has a clear path with the ultimate objective to arrive at the best outcome for your specific case. The Mitchell Law Firm Today For A Free Consultation (303) 333-1979. Mr. Mitchell has been recognized as being in the top 5% of American Lawyers based on professionalism, commitment to each client and providing expert and top-notch ethical guidance throughout the legal process. The Mitchell Law Firm has, for decades been recognized by the Better Business Bureau with A+ Gold Member status within the Colorado business and legal community. Avvo, the leading attorney review site among American Lawyers, has consistently honored The Mitchell Law Firm through their “Clients Choice” award which reflects years of recognition for their ethical and expert representation of their clients. 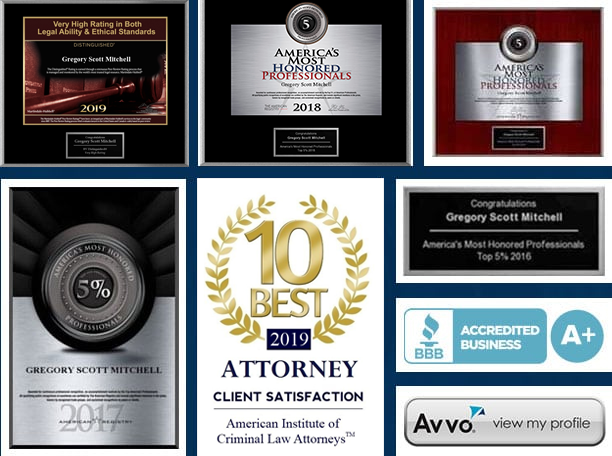 All of these awards and recognition reflect what clients think of The Mitchell Law Firm which in the estimation of attorney Greg Mitchell is the highest achievement a lawyer can receive. The Mitchell Law Firm has represented thousands and thousands of satisfied clients, one case at a time! The Denver Post reports that over 10,000 DUI arrest were made in 2017… Don’t be the next victim! Gregory Mitchell has nearly 30 years’ experience representing thousands of Coloradoans – Call now for a Free Consultation! The Mitchell Law Firm represents you on a “Flat Fee” basis so you know what you are signing up for! Available 24/7, 365 days a year – Don’t wait to call when you have so much to lose! Visit “ Avvo.com ”, the attorney review site that Coloradoans use to see the latest client review for Gregory Mitchell and The Mitchell Law Firm! As one of Colorado’s top criminal defense law firms since 1990, The Mitchell Law Firm works under the simple philosophy to treat each client as they would want to be treated.